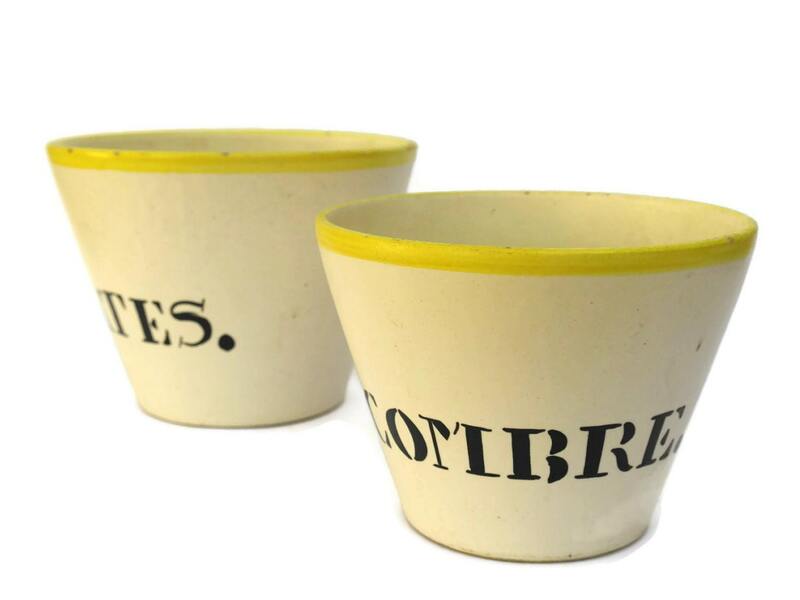 A rare pair of vintage French ceramic planters dating to the 1930s. 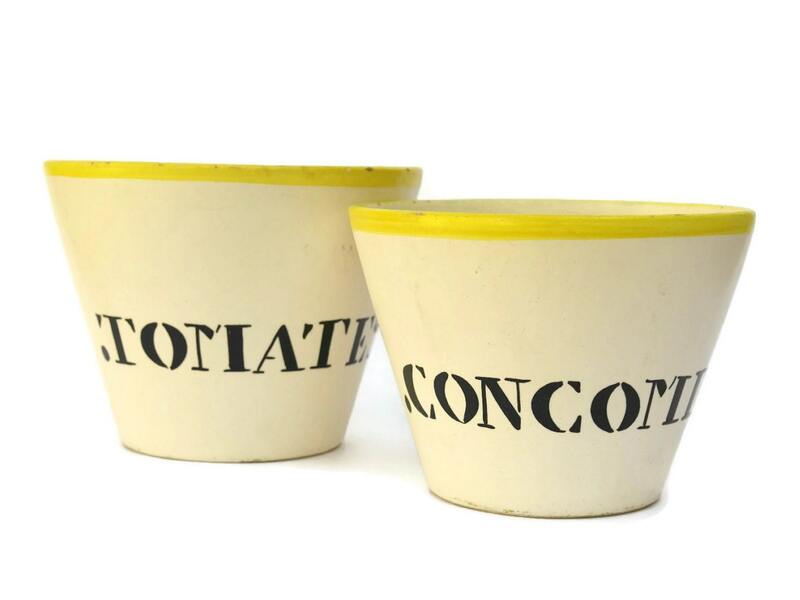 Each of the glazed ceramic flower pots has been decorated with a yellow rim and bold black lettering with the French words for Tomato and Cucumber (Tomate & Concombre). 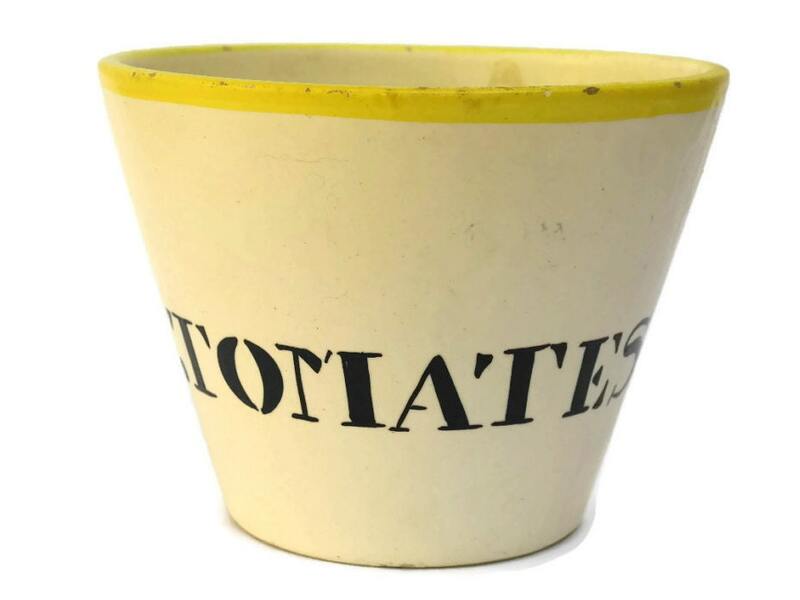 Originally, the pots were used to hold young tomato and cucumber plants but could be repurposed to stylish French herb pots or kitchen utensil holders. 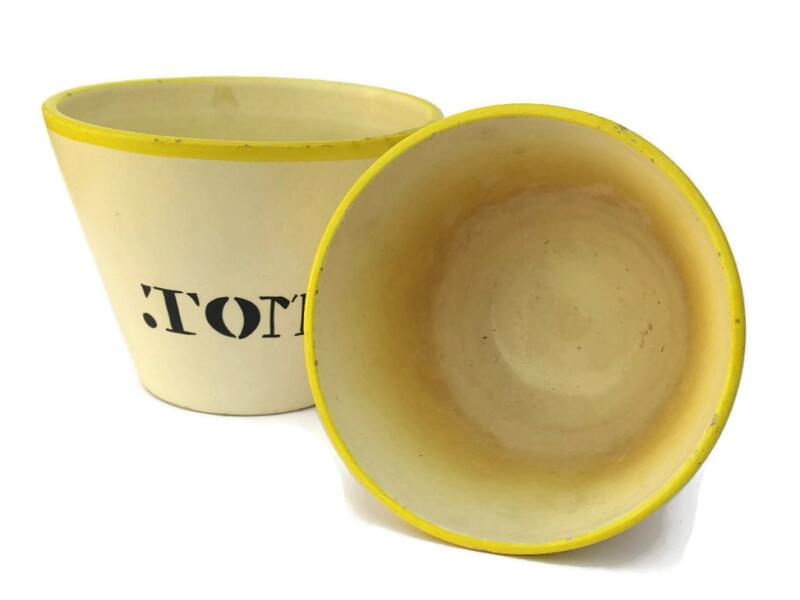 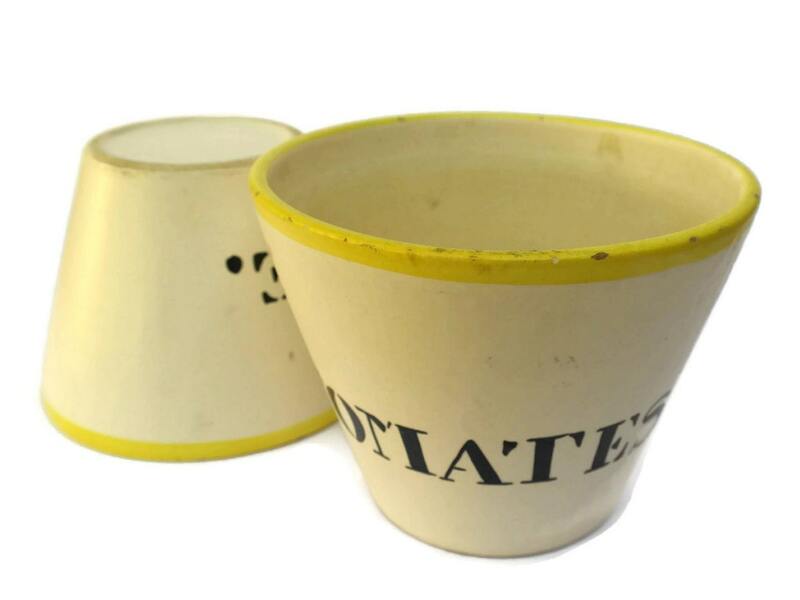 The ceramic flower pots are in good used condition with light wear and signs of age including small flakes to the glaze and discolouration to the interiors.